5 Bdrm Semi-detached Dwellhouse. Ground flr: V/bule. Reception hall. Cloakrm with wc. Lounge. Dining rm. Kitch. Bdrm. 1st flr: 3 Bdrms, 1 with ensuite shower rm. Bathrm. 2nd flr: Bdrm (CT band - E). Garden. Garage. Parking. 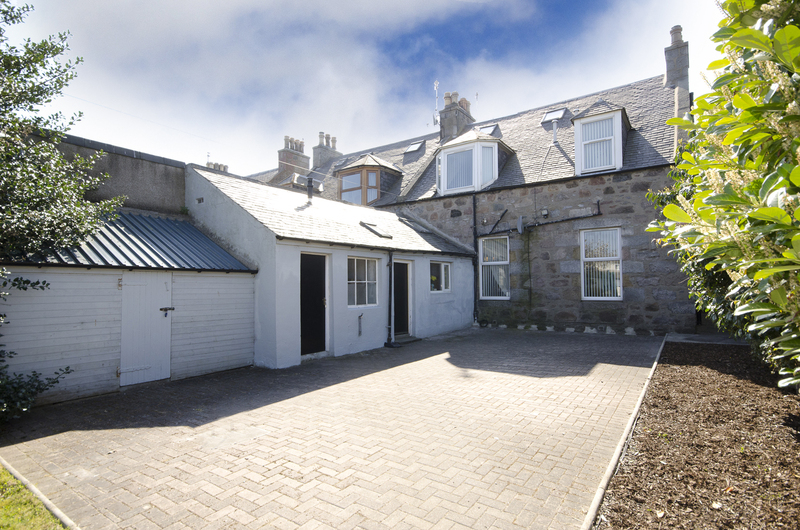 Fixed price £345,000 Entry by arr. 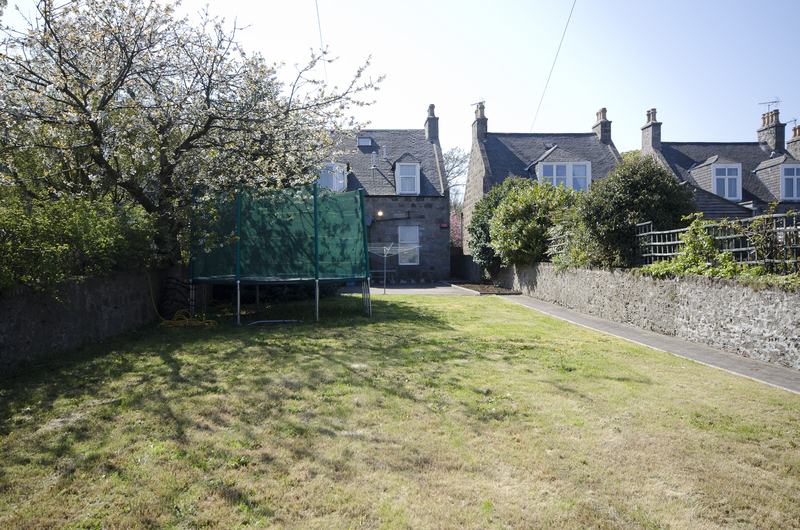 Viewing Esslemont 07799 588848. Below Home Report Valuation (EPC band - E). 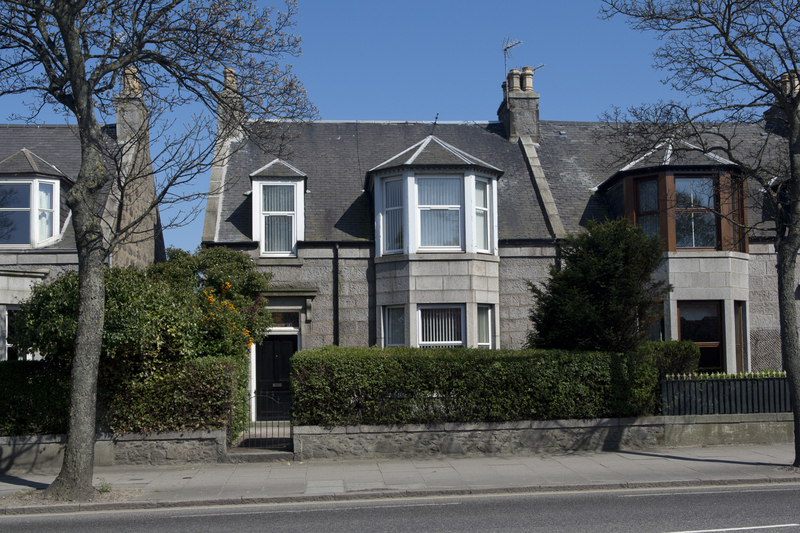 We have pleasure in offering for sale this substantial and highly desirable, granite built, semi-detached dwellinghouse which is thoughtfully laid out over three floors, and enjoys a particularly central location within the city. Offering an exceptional level of space, which benefits from the comforts of gas fired central heating, double glazed windows, an intruder alarm, and single car garage accessed off a rear lane, this ideal family home enjoys a particularly bright and airy ambience throughout. 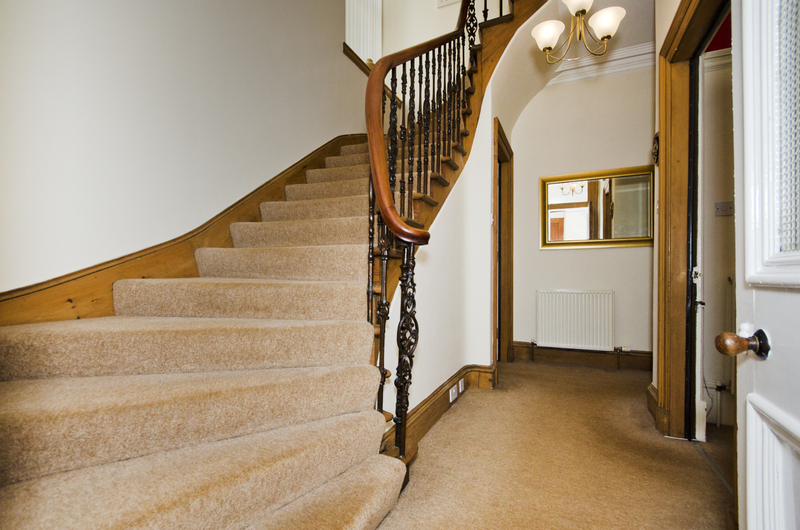 Traditional characteristics are in abundance, including high ceilings with moulded coving and ornate cornicing, picture rails, bay windows, original wood panelled doors, and an impressive staircase with metal spindle balustrade extending fully to the top floor. The tasteful décor is finished in neutral tones and complemented by a combination of practical floor coverings which are included in the sale together with all window blinds and curtains, light fittings, and white goods. 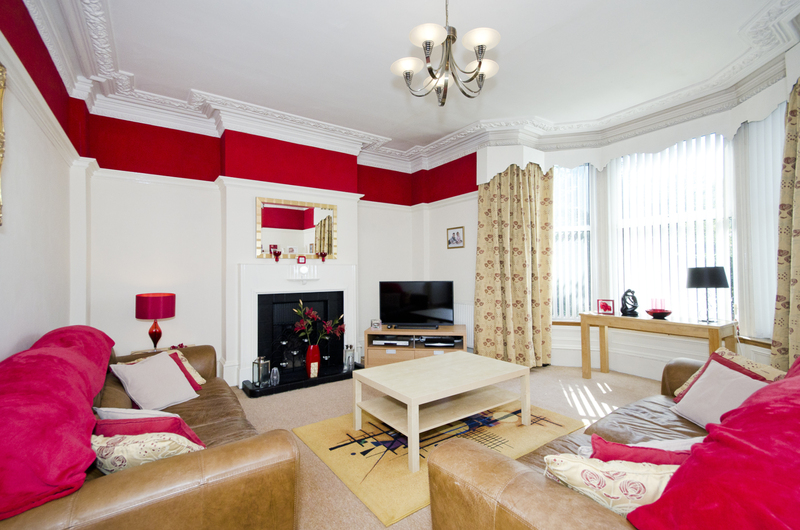 Interior viewing is essential to fully appreciate the appeal of this charming home, which comprises, on the ground floor level: entrance vestibule and reception hall; cloakroom; elegant front facing lounge with bay window and functional open fire; nicely appointed dining room; well equipped kitchen with direct access to the rear garden; and spacious double bedroom overlooking the rear garden. 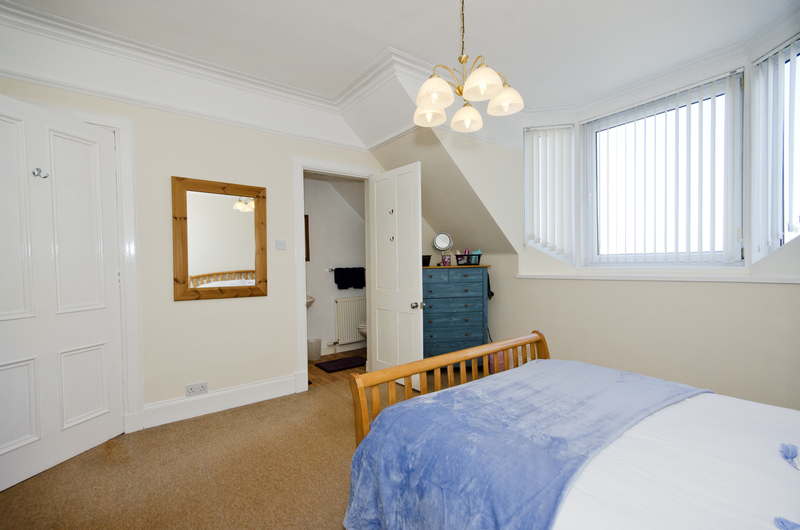 On the first floor there is a rear facing master bedroom with convenient en-suite facility, two further bedrooms, and a larger than average family bathroom fitted with white sanitary ware, and separate shower enclosure. 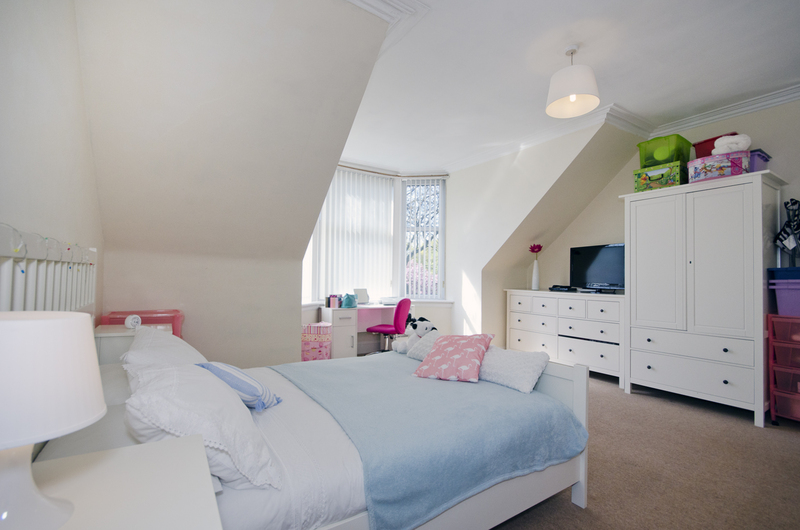 An attic style double bedroom on the top floor completes the accommodation. The gardens are well maintained and enjoy a particularly private and sunny aspect at the rear, affording a safe environment for children and ideal space for outdoor relaxation. 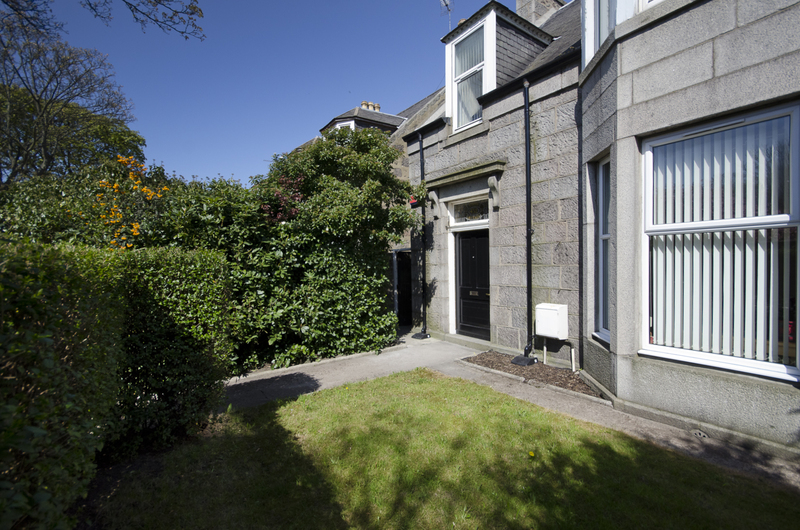 LOCALITY: The property is located within easy walking distance of the City Centre, train station, bus depot, and Aberdeen University’s Campus at Old Aberdeen. Aberdeen Sports Village and Aquatics Centre, and a “Morrisons” supermarket are close by, as are the wide and varied leisure facilities at Aberdeen Beach which include popular restaurants, an ice rink, leisure centre with swimming pool, and a multi-plex cinema. Aberdeen International Airport, and the oil related offices at Bridge of Don and Dyce are easily accessible, and a regular public transport service provides access to other parts of the city. 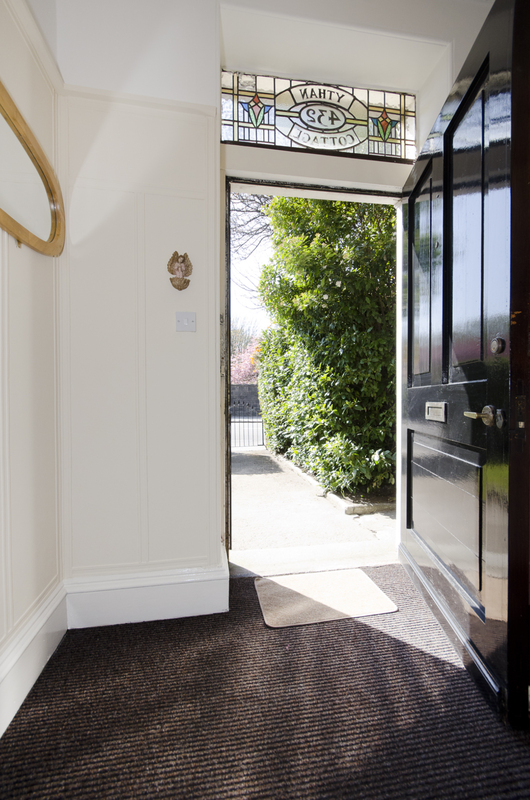 ENTRANCE VESTIBULE: 7’9” x 5’ approx Bright entrance to the home accessed via solid hardwood door with stained glass fanlight. Painted wall panelling and wall mounted coat hooks. Intruder alarm control panel. Built-in cupboard housing electricity meter/fusebox. Ceiling light. Carpeted floor. Partially glazed door and side screen to hall. RECEPTION HALL: Inviting hall displaying neutral décor complemented by co-ordinating carpet, natural woodwork and original panelled doors. Metal/glass ceiling light. 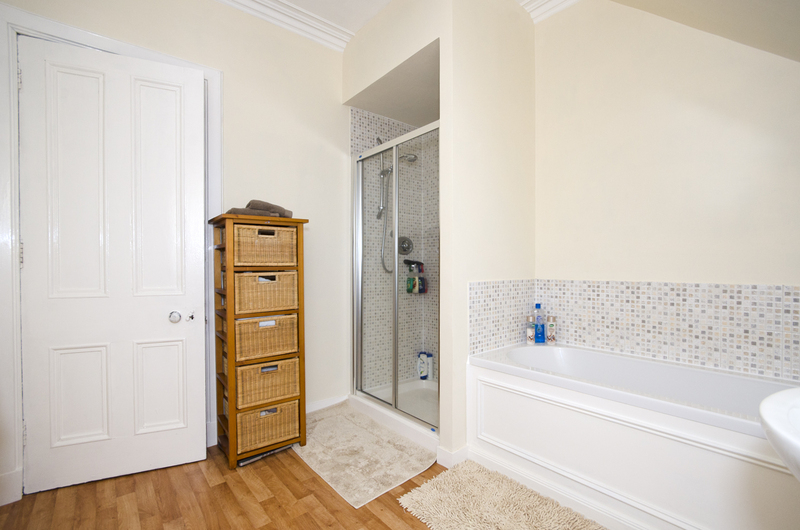 CLOAKROOM: Fitted with a modern white wc and wash hand basin on pedestal. Co-ordinating chrome accessories. Recessed downlighters. Frosted glass side facing window. Vinyl wood effect flooring. 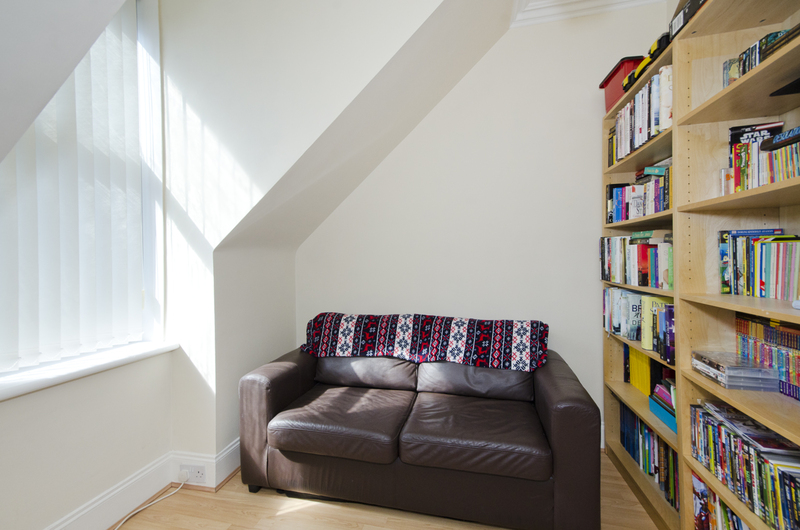 LOUNGE: 18’2 x 17’5” approx Elegant, front facing lounge boasting exceptional proportions, and period features which include a bay window, high ceiling with deep moulded coving and intricate cornicing, picture rails, deep skirting boards, and recessed alcoves. A black and white tiled fireplace incorporating a fully functional fire provides a pleasing focal point. Television aerial point with satellite connection. Telephone point with Broadband facility. Brushed steel multi shade ceiling light. Vertical blinds and full length curtains fitted to window. Carpet. DINING ROOM: 14’ x 11’9” approx Nicely appointed, bright and spacious room affording ample space to accommodate a full dining suite. Two shelved cupboards, incorporating leaded glass display units with storage cabinets below. Smoke detector. Rear facing window fitted with vertical blind tied back voile curtain. Brass/glass ceiling light. Laminate wood flooring. Door to kitchen. FITTED KITCHEN: 16’9” x 8’3” approx Well equipped with a comprehensive range of light wood base and eye level cabinets, complemented by contrasting black gloss work surfaces, and tiled splashbacks. 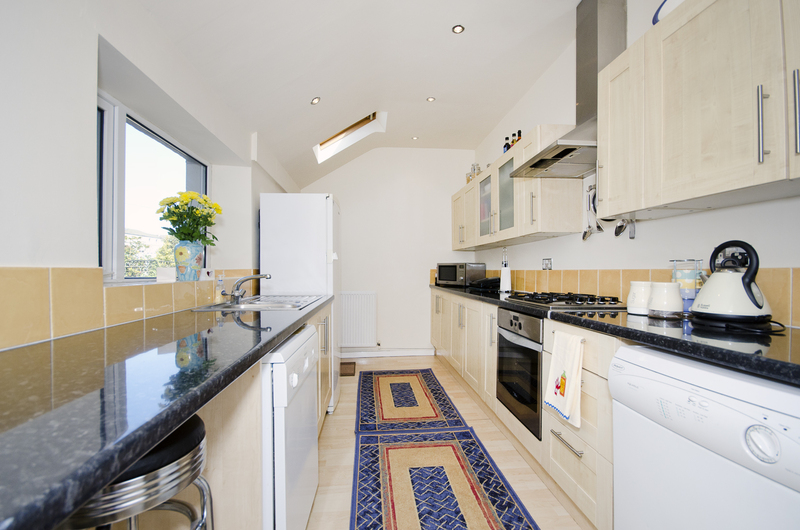 1.5 stainless steel sink and drainer with mixer tap, above which is a window looking onto the garden. Stainless steel 4-burner gas hob with chimney style extractor hood above, and electric oven/grill below. The “Hotpoint” dishwasher, tumble dryer and “Beko” upright refrigerator will remain. Recessed downlighters. Two velux windows. Laminate wood flooring. Door to garden. 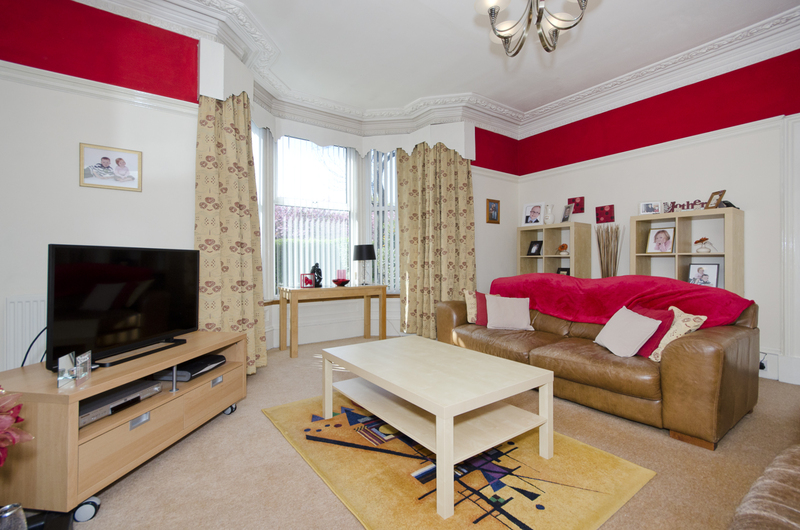 DOUBLE BEDROOM 3: 12’8” x 11’ approx Generously proportioned double bedroom overlooking the rear garden, with ample floor space to accommodate a range of free standing furniture. High ceiling with ornate cornice, and arched alcove area. Vertical window blind. 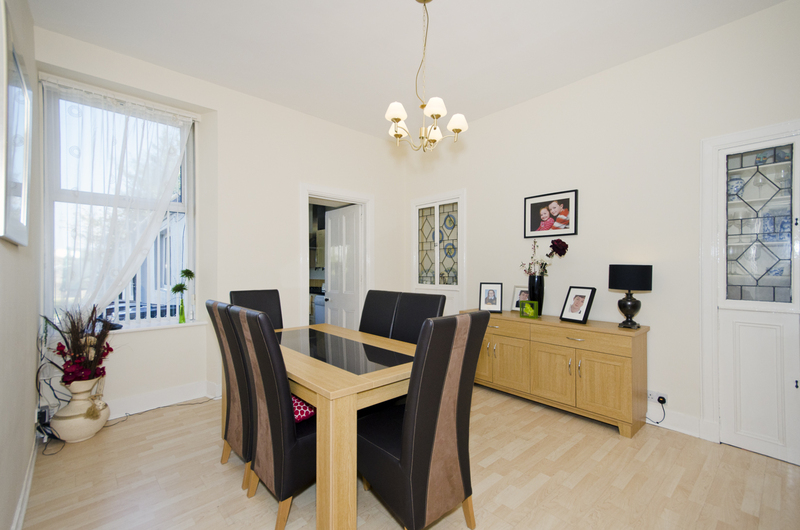 Beech effect laminate flooring. 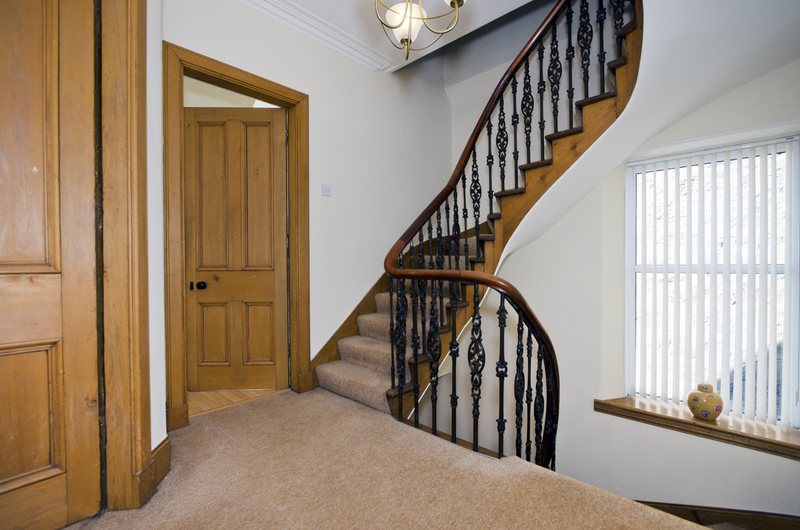 FIRST FLOOR: An impressive carpeted staircase with metal spindles and wooden handrail ascends from the reception hall to the first floor landing where wooden panelled doors provide access to all rooms on this level. Side facing window fitted with vertical blinds. Metal/glass ceiling light. MASTER BEDROOM: 13’8” x 12’7” approx Spacious and attractively presented master bedroom enjoying a quiet aspect with pleasant open outlook to the rear of the property. 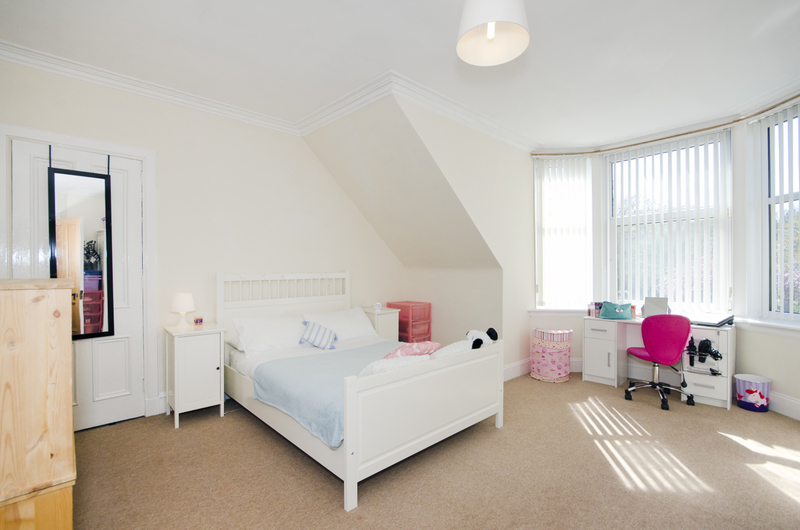 Neutral décor with moulded coving, picture rails, co-ordinating décor and carpet. Vertical window blind. Brass/glass light fitting. 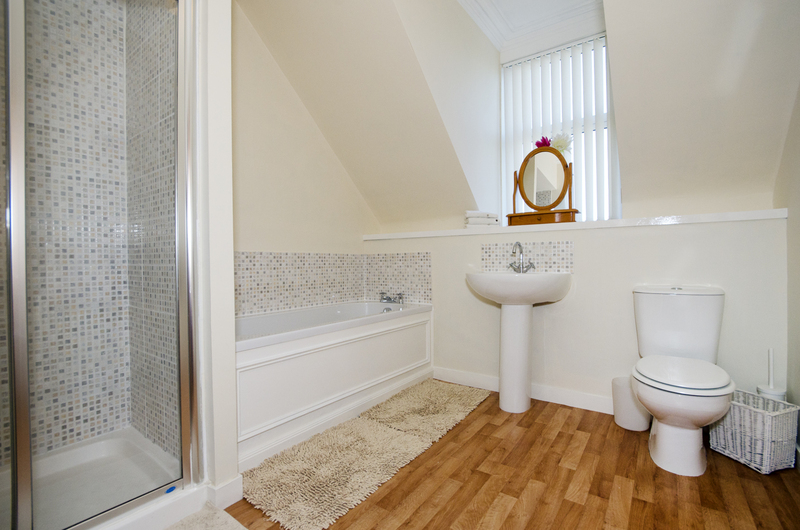 EN-SUITE: Fitted with a white wc, wash hand basin on pedestal with chrome mixer tap, and tiled splashback; and fully tiled shower enclosure fitted with glass sliding doors, fitted with a chrome mains powered shower. 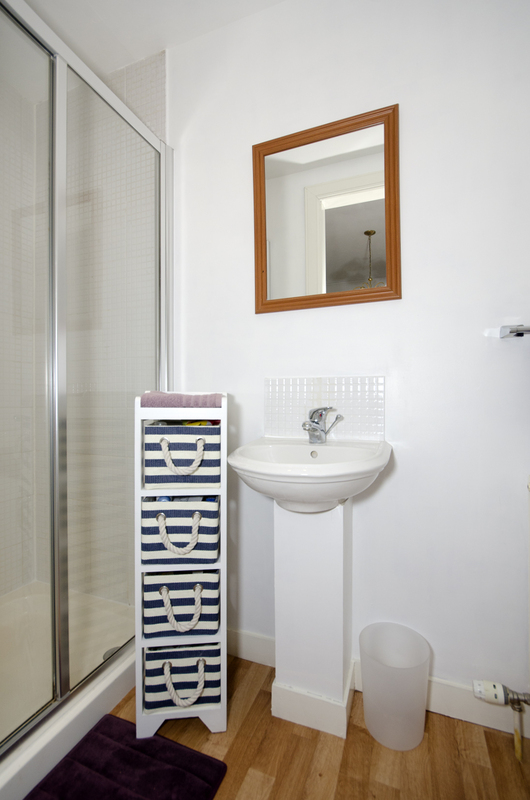 Chrome towel rail and co-ordinating accessories. Recessed downlighters and extractor fan. Vinyl wood effect flooring. 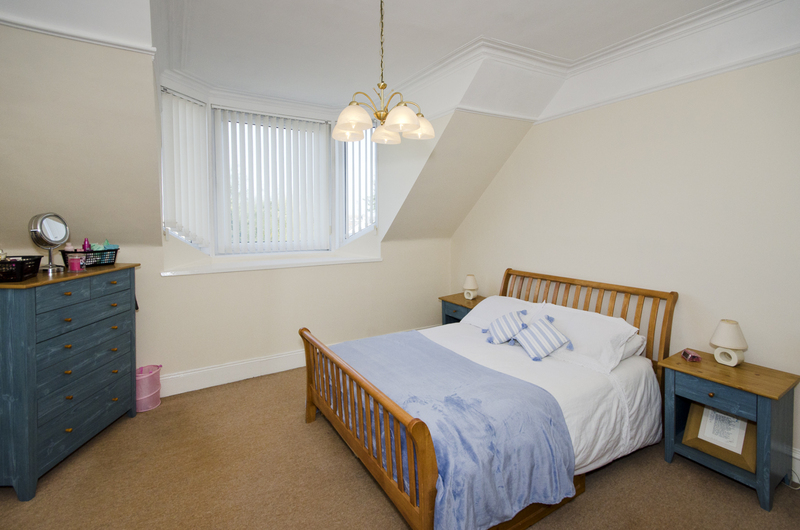 DOUBLE BEDROOM 2: 17’5” x 15’6” approx Bright front facing double bedroom displaying neutral décor and carpet with vertical blinds fitted to the window. 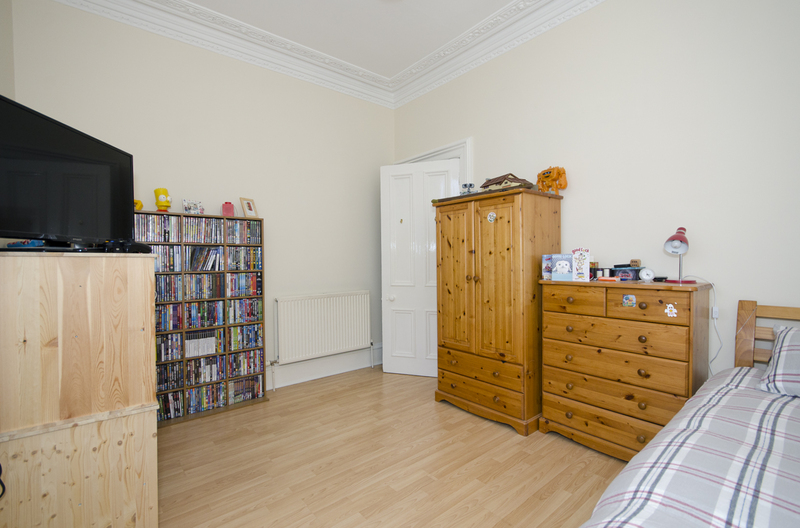 Traditional “Aberdeen” cupboard, and moulded ceiling coving. Ceiling light. BEDROOM 5: 9’3” x 5’6” approx Again located to the front of the home, this versatile room could be used as a bedroom or home office. Laminate wood flooring. Vertical window blind. Ceiling light. FAMILY BATHROOM: 8’9” x 8’7” approx Enjoying generous proportions, the attractive bathroom is fitted with modern, white sanitary ware, comprising: wc; wash hand basin on pedestal with chrome mixer tap; bath; and recessed shower enclosure fitted with chrome mains powered shower and glass sliding doors. Mosaic effect wall tiling around the bath, within the shower enclosure, and to splashback areas. Towel rail and co-ordinating accessories. Rear facing window with deep sill, fitted with vertical blind. Vinyl wood effect flooring. TOP FLOOR: The carpeted staircase continues fully to the top floor. 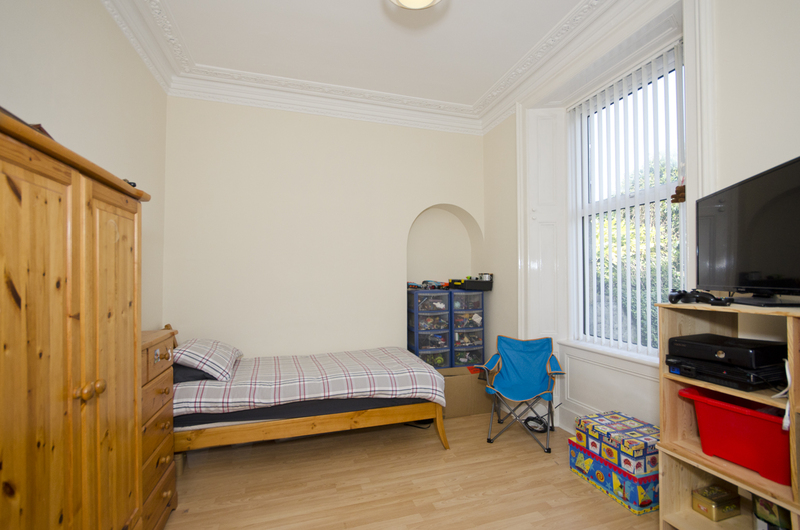 DOUBLE BEDROOM 4: 18’8” x 9’5” approx Two rear facing velux windows flood this room with natural light. Neutral décor and carpet. Recessed downlighers. OUTSIDE: The front garden is enclosed by a dwarf granite wall and hedge, with a metal gate opening onto a path which leads to the front door. Tidy lawn with mature shrubs and trees providing seasonal colour. A wooden gate and path at the side provides access to the extensive walled garden at the rear which enjoys a sunny aspect, offers ample scope for further development, provides a safe environment for children playing, and a private space for outdoor relaxation. Laid mainly to lawn with extensive loc-bloc patio. Rotary clothes dryer. Water tap. Sensor activated security light. Wash-house with power, light and water, housing the central heating boiler, freezer and washing machine. Large store providing generous storage facilities. 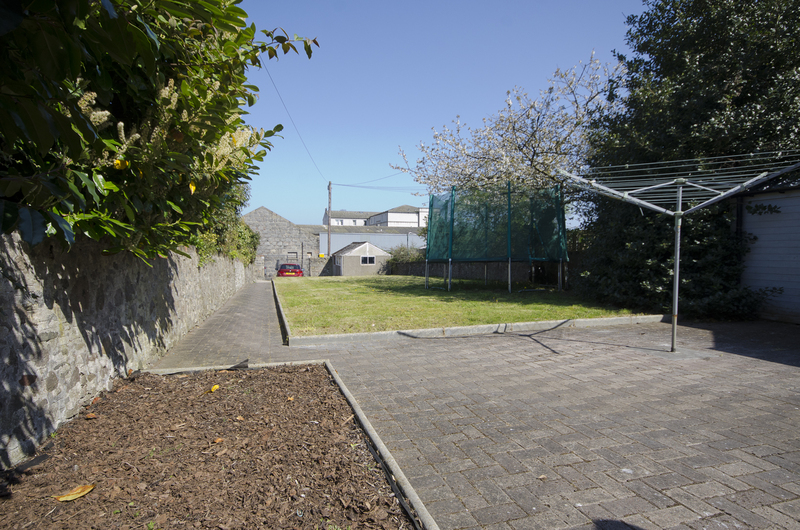 Stone chipped driveway with space for 3 cars, accessed via a rear lane and double metal gates. SINGLE GARAGE: Positioned at the bottom of the garden and accessed via a rear lane, the detached single car garage has a wooden front door, and door opening onto the garden. DIRECTIONS: From the east end of Union Street turn left onto King Street and travel for a good distance, passing through the traffic lights at the Seaforth Road/King’s Crescent junction. Number 432 is located on the right hand side of the road, just beyond Pittodrie Street.